Super Eagles captain and midfielder, John Mikel Obi has revealed that joining Chelsea didn’t go down well with his father because he wanted him to join Manchester United. 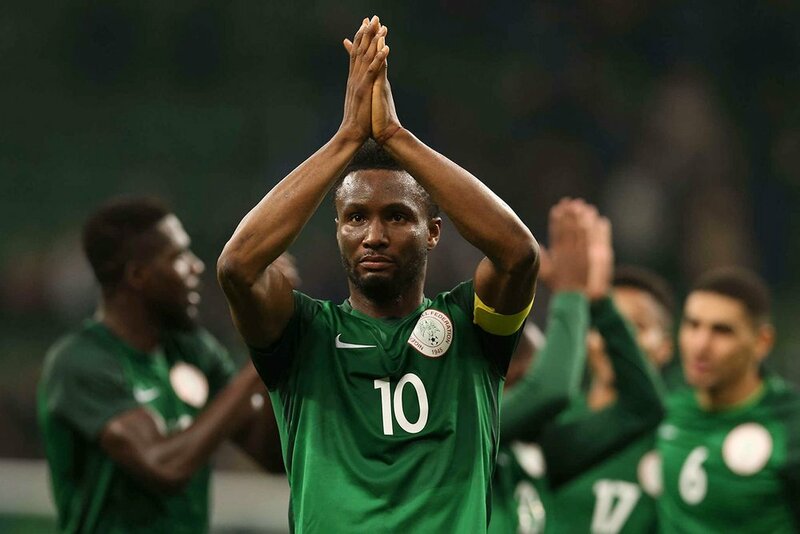 Mikel was part of the Super Eagles squad that recently crashed out of the 2018 World Cup in Russia after the team failed to get the needed draw against Argentina in their final group D game on Tuesday. The Nigerian international caused some transfer tussle between Manchester United and Chelsea before he eventually penned a deal with the London club. However, in an article written by Mikel in the players’ tribune, he stated that though his father wasn’t happy with his decision to join Chelsea, the family are now reaping from his decision. “Well, my Dad wasn’t too pleased about what happened either. He wanted me to go to Manchester United because he loved Alex Ferguson,” he said. “Back home in Nigeria, a lot of people were saying I should go to United because of how well they work with young players, whereas Chelsea just bought superstars. “And it’s true, I was only 18 years old and Chelsea had players like Lampard, Ballack and Makelele in midfield. A lot of people in Nigeria doubted that I could even make the Chelsea team if I went there. “So … why did I turn down the biggest club in the world? “I’ll tell you what happened. I had all these people on both sides fighting over me. Agents, managers, strangers, guys handing me papers. I had Sir Alex Ferguson calling me on the phone on one side. “And I had Roman Abramovich on the other side, putting me up in London, hiding me somewhere where only a few people knew where I was. It was really confusing, and I was a kid, you know? “I thought about it for a long time. It was the biggest decision of my life. “You know what made my mind up? Chelsea had signed three other players from Nigeria along with me. They were staying with me at the house in London to keep me company. These guys … their lives depended on the decision I was making. “If I went to United, they were gone. If I went to Chelsea, they were going to have a career. No matter how long it lasted, that was important to me. Just to give them a chance, you know?